8,079 others viewed this post. This is above your head at night right now and as big as the full moon. 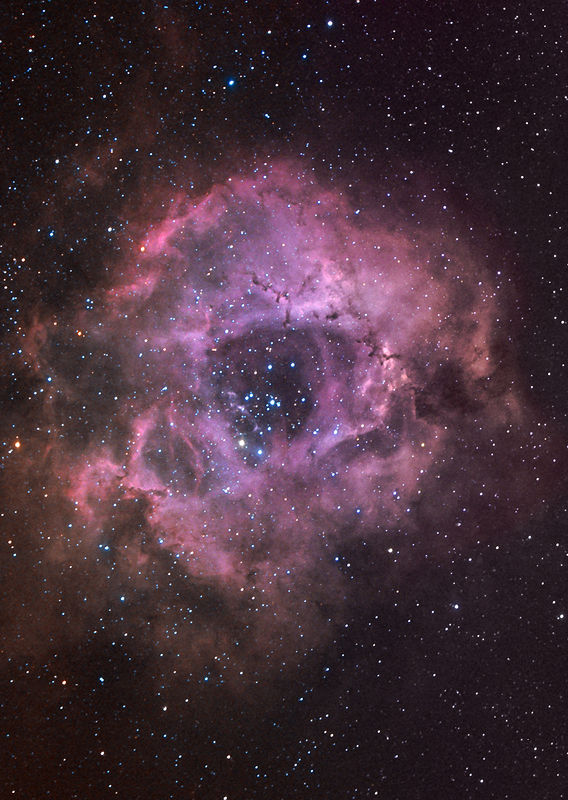 It’s called the “Rosette” nebula but oriented this way, it’s also a pretty rad looking skull. See it? You can’t see this at night because of your puny human eyes and its faintness. Even with a telescope it’s virtually invisible. Photography and long exposures reveal the huge glowing Hydrogen gas, ionized into Hydrogen II by the energy of the young stars it’s birthing in the middle. Young stars are blue, Old stars are orange.